Fungi are responsible for a great number of diseases in plants and cause crop loss. 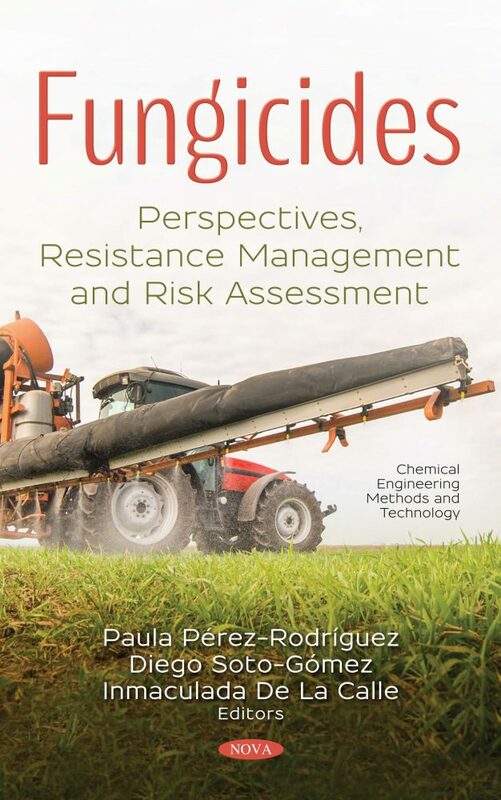 The spread of fungal diseases can be controlled by crop management, rotation systems, the use of resistant cultivars and the application of fungicides. Fungicides are often employed by farmers due to their simplicity and efficiency. However, fungicides are expensive, and their effectiveness is reduced when the pathogen develops a resistance. Additionally, the excessive use of fungicides represents a potential risk for the environment and for human health. Apart from their use, the production generates pollution, and the natural degradation of the majority of fungicides is very complex. Due to the high persistence of fungicides, it is important to consider their residues in food. This book attempts to shed light on fungi biology, their ecology and their infection mechanisms; fungicide use and management, from their place in the market until their modes of action; the fungicide effects, the mechanisms of action and the way to increase their efficiency. In addition, other topics are considered such as the appearance of resistance, the causes and the methods employed to prevent or decrease their incidence. Finally, the latest trends in analytical determinations and new technologies are also included, like computer simulations that may help scientists to make predictions and act accordingly.